^ Matthew Collings. Feelings. This Is Civilisation. 第1季. 第2集. 2007. ^ 2.0 2.1 2.2 Lee, Simon. David. : 321. ^ 4.0 4.1 Lee, Simon. David. : 321–322. ^ Lee, Simon. David. : 322. ^ Roberts, Warren. 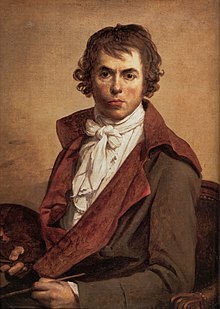 Jacques-Louis David, Revolutionary Artist. : 14. ^ Lee, Simon. David. : 151. ^ Lee, Simon. David. : 326. ^ Lee, Simon. David. : 328.